Currently enrolments are open, however you can add your child’s enrolment details below and our Director will contact you as soon as possible to arrange a visit to explore our facilities and discuss your child’s needs for day care. If at any time you wish to visit our day care service and explore our facilities, please call the Director on 02 4951 7783 to arrange a convenient time or use the contact form below and we will contact you as soon as possible. We will be very happy to show you through each developmental room and provide you with further information. On 2 July 2018 the Child Care Subsidy and Additional Child Care Subsidy replaced the previous child care fee assistance payments (Child Care Benefit and Child Care Rebate). Child Care Subsidy will generally be paid directly to your approved child care provider/s to reduce the fees you pay. 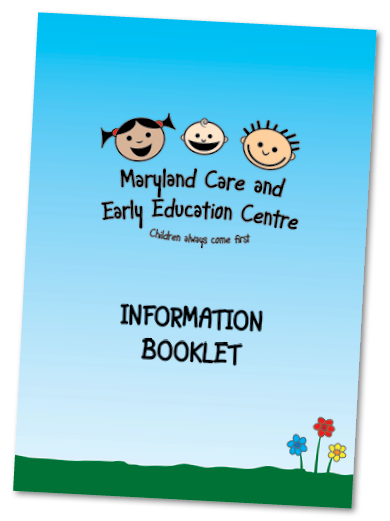 Click here to download our Information Pack. When do you wish you child to commence care? How many days of care do you need? By submitting this waitlist form you agree and acknowledge that you will be contacted by email in 6 months to confirm if you require a position. If we do not hear a response from you by the outlined date, your name will be taken off our waiting list.